Oh yeah? She’s got to be kidding. I’m moments away from throwing in the towel. I feel my eyes tiring, my attention being directed elsewhere as if by a sorcerer’s hand. But I won’t give in. I know what I have to do, and it involves pain. WHACK, WHACK, WHACK. There, I’ve slapped myself in the face. Works every time. I’m feeling better. On with the show. Very recently Sandy and I went to the movies on three consecutive days. After that streak ended I figured I ought to try and bang out a story about the trio of flicks for my insatiably content-hungry blog. It wouldn’t do, I decided, to focus on only one of the films, examining it from all angles like a jeweler ogling a precious stone. No, ambitious me would strive relentlessly to find and then analyze the thematic threads woven between the three movies. And believe me, I’ve been looking. Real hard. And so far here’s what I’ve come up with: zippo and bupkis. But there’s got to be an angle. There always is. And so I’ve decided to throw connective threads to the winds and pull something out of my wazoo in a desperate attempt to create a blog story. Speed . . . yeah, that’s what I’m going to look at. The degree of rapidity of the movies’ action. And speaking of speed, I notice that it has taken me over 300 words to get around to naming the movies that Sandy and I watched. Oh well, my incredible slowness ties right in with what now is this article’s subject. And I suppose that Sandy’s faith in me possibly has paid off. In any case, the movies in the order that we saw them are The Big Short, Star Wars: The Force Awakens, and 45 Years. Respectively, those movies overall are, in terms of pace, fast, really fast, and nice and slow. And in terms of how much I liked them they are, respectively, very much, eh, and quite a lot. I’m amazed that I didn’t get big kicks from the newest Star Wars, the seventh in the franchise. Entering the theater I thought I would. A thousand years ago (in 1977) I loved the first in the series. It seemed cool as can be to me, action-packed and stocked with a fabulous menagerie of characters, human and otherwise. But, unlike 95% of the world’s population, I didn’t see any of the next five SW vehicles or do any reading over the years to keep up with the SW storylines. Watching The Force Awakens I was surprised to learn that Darth Vader no longer is on the scene, and I barely remembered what a Jedi is. But I was glad to see Harrison Ford on board playing the wisecracking and fearless Han Solo. Most importantly, I was expecting an exhilarating ride. For sure, The Force Awakens often moves like lightening. I lost track of how many times Good was battling Evil on one planet or another, and seemingly only moments later the fight had shifted to an orb millions of miles away. I enjoy that kind of zooming sometimes, but after a while it wasn’t doing the trick for me. I began to feel that the screen was filled with too much of too much, that the plot almost was losing itself. I became bored. A healthy dash of better dialogue and believable human dynamics wouldn’t have hurt. Not that the film’s writers didn’t try to bring emotions into the proceedings, but the results of their efforts, probably purposely, are pretty cardboardy. The occasional hug and goo-goo eyes don’t meaningful human relationships make. Unlike SW:TFA, The Big Short doesn’t suffer from underdeveloped characters, though it contains plenty of characters, as in people with strong ways of expressing their inner selves. And its propulsion is mighty chipper, though it avoids the warp speed of many scenes in SW:TFA. The Big Short takes on a most unlikely candidate for a cinematic story, the worldwide financial catastrophe of 2008. The film tackles the subject inventively and with energy to spare. Basically, The Big Short rocks. Fast-thinking denizens of the investment world, some of them motor-mouthed (played by Steve Carell, Ryan Gosling and others) make for a heady and dizzying trip. Add snappy editing to that and you’ve got a really winning movie. What’s more, you very well might leave the theater thinking you’ve finally begun to understand who and what caused calamity to shower the Earth eight years ago. And hopefully you won’t be like me, dumb as dirt once again in financial matters by the time you arrive home. Within the low range of the miles-per-hour spectrum stands 45 Years, replete with a top-notch screenplay and realistic portrayals by Charlotte Rampling and Tom Courtenay of a married couple, the Mercers. This duo finds themselves with emerging marital problems on the cusp of their 45th wedding anniversary. But if you’re thinking of catching the Mercers’ predicaments, be prepared for a slow and deliberate adventure. Everybody takes their good ol’ time doing things and vocalizing. The most intense action in the movie occurs when Rampling struggles with a pull-down attic ladder. Yup, eventually she conquers the beast and makes her way upward to where a revelatory discovery awaits her. You go, girl! What’s my point about all of this? Good question. Luckily I have an answer or two. A movie’s pace is important and should fit the circumstances of the plot. Movies with mucho scenes that rip along wildly can be terrific (think His Girl Friday and the version of Casino Royale with Daniel Craig), and so too can be those that mosey (think Hud and Nebraska). Velocity is only part of the equation. Whatever its pulse rate, a film usually will rise only if its story is strong, its dialog solid, its characters believable, its actors on top of their game and its director in firm control. 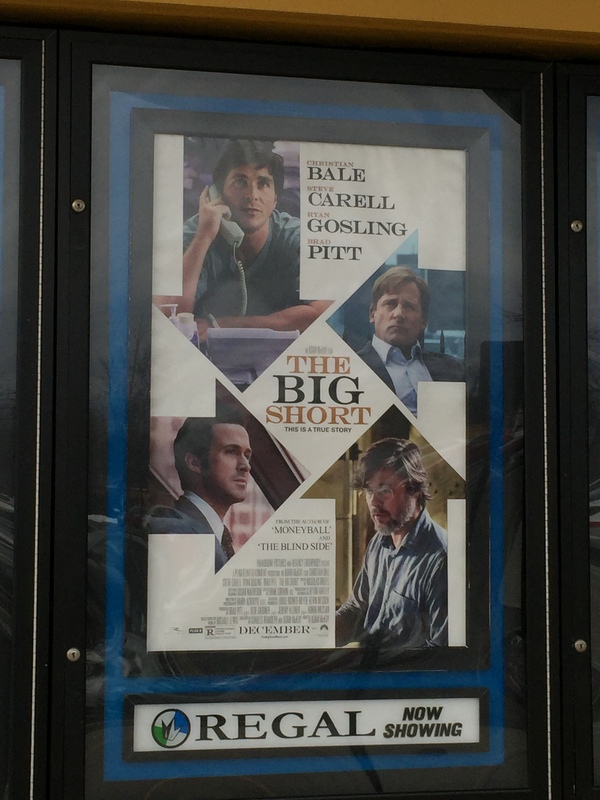 The Big Short and 45 Years meet the criteria beautifully. Not so for Star Wars: The Force Awakens, which comes up a bit short in the plot, dialog and character development departments in my puny opinion. Shows what I know, though. 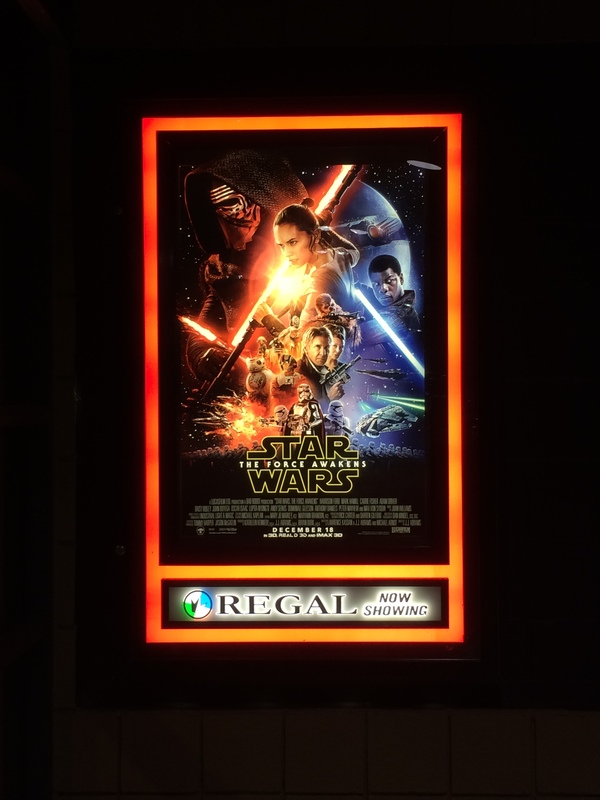 SW:TFA to-date has grossed almost one billion smackers at the domestic box office, let alone the rest of the world. I bow before the power of the dollar. As always l enjoyed your reviews! Thanks, Joyce. I appreciate it. Interesting, Neil. When the current Star Wars came out, I decided not to see it because I didn’t think it could stand up to the original, which is the only Star Wars movie I have seen because of the reason just stated. I can still replay that bar scene in my mind, and think of it when I wander into any room filled with odd characters — usually a bus station or a laundromat. The first Star Wars was a delight. No doubt about it. Great reviews.. you’ve convinced me to see “45 Years,” since I love the slow, deliberate, character-driven films (minor correction: it wasn’t Tom Courtenay, but another young English actor, Terence Stamp, who played “Billy Budd.” Courtenay was in “Loneliness of the Long Distance Runner”). Also, I have even less of The Force with me than you! I saw the first “Star Wars” movie, just once. It definitely set the standard for glossy, action-packed space movies, but I prefer films along the lines of “Hud.” Part of it’s probably my age, but another part is all the English lit courses I took! Thanks, Pete, for reading my stuff and for pointing out my confusing Courtenay and Stamp. I should have consulted IMDB before I published the article. I’ll make the correction. Hud . . . what a great movie. I saw it for the first time about five years ago. 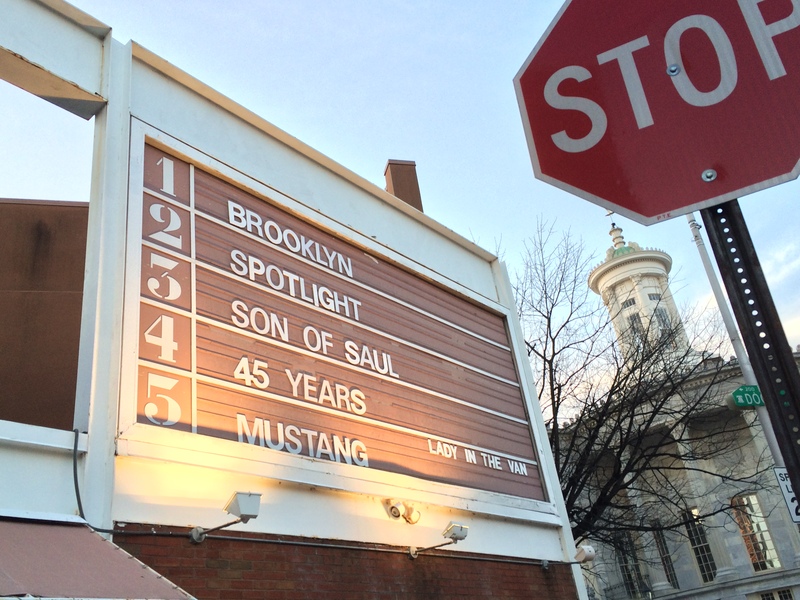 I haven’t seen any of the movies you write about, but I’m intrigued by “45 Years”. From what I hear from folks who have seen it, there is a real depth to the story, and a tragedy that can only be imagined. Glad that the story unfolded in such a thoughtful way—I think I’ll make the effort to see it! I think that 45 Years is finding an audience. It’s a well-crafted movie. The Big Short is worth checking out, too. It has a lot of flair.